This year Yom HaZikaron began last night and will be observed today until nightfall when the Yom HaAtzmaut festivities begin and continue through tomorrow night. 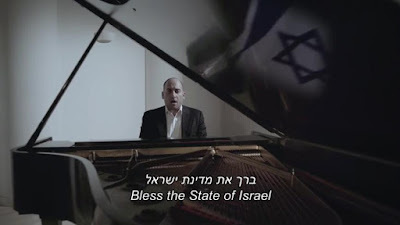 To mark these two important dates in the Jewish calendar, today we're sharing a special video of Cantor Netanel Hershtik singing the T'fila L'Shlom Medinat Yisrael (Prayer for the State of Israel). Tomorrow we'll celebrate Israel's 68th birthday with a video picture postcard of Israel as you've never seen it before. Just beautiful. What a reminder seeing the numbers on the man's arm! I am crying. God, help Israel.